We believe it is important for every person, regardless of their age or background, to learn about the history of the Holocaust. Because knowing and understanding what went wrong back then, can help us try to do things differently in our own lives, workplaces and communities. 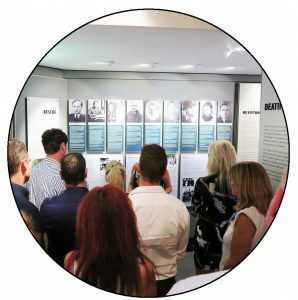 At the Cape Town Holocaust & Genocide Centre we provide educational programmes for learners and adults, and can also assist you in learning how to educate others about the Holocaust and the related ethical and human rights issues. A variety of resource material from the South African Holocaust & Genocide Foundation is available for purchase or loan. We offer a full morning programme for Grade 9 – 12 learners. The learners are challenged to think historically and to draw conclusions from evidence, both written and visual. The study of the Holocaust history resonates for so many of them as they are able to see the relevance to their own South African history and it helps to contextualise the human rights abuses suffered in this country. Many of the learners comment on the fact that the visit has awakened in them the desire to approach their studies in a factual way, to look at documentation and primary sources and draw conclusions based on critical analysis. In consultation with teachers, the exhibition visit can be adapted to address particular needs of the group and to fit their knowledge and skill set. We offer specific educational programmes for adult groups, facilitated by our highly-experienced educators. Participants explore topics such as valuing diversity and addressing prejudice in the workplace, using Holocaust and genocide history as a starting point. We have a wealth of experience in conducting adult diversity education, and have done so for a wide range of companies and organisations, including medical and university students, religious groups, corporate organisations and groups from various government sectors. 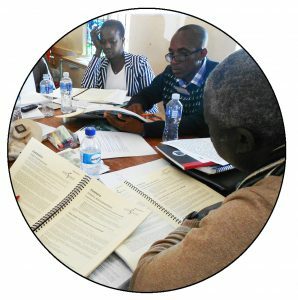 As part of the South African Holocaust & Genocide Foundation, the Cape Town Holocaust & Genocide Centre is involved with educator training on a national level. A major part of our work is training and supporting educators to teach Holocaust history as part of the National Curriculum. Our workshops expand participants’ knowledge of the Holocaust, genocide and human rights, and help them develop their methods of teaching these subjects. The connection to the history of Apartheid is also examined. Participants are encouraged to share their experiences as educators and their strategies to deal with prejudice. During the workshop they reflect on human rights abuses that are happening today, and through the lens of what they have learned about the Holocaust they think of constructive ways to deal with challenges such as xenophobia. This educator training project has been supported by a grant from the Conference on Jewish Material Claims Against Germany. 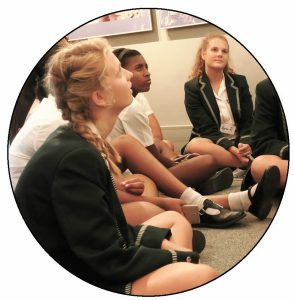 The Cape Town Holocaust and Genocide Centre runs an annual art and writing project for high schools in the Western Cape. The White Rose Project takes its name from a group of German university students who resisted Nazi oppression. They were known as the White Rose Movement. Our hope is that the project will facilitate a greater understanding of the need to protect human rights and freedom of expression. We would like the project to serve as a catalyst in empowering participants to each find their voice in resisting injustices within their own environment. 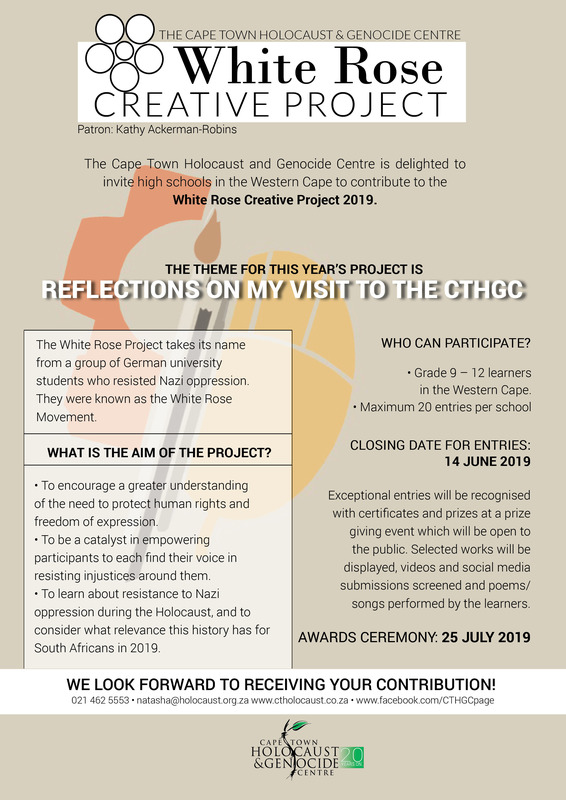 We hope that it will give students the opportunity to learn about resistance to Nazi oppression during the Holocaust, as well as to consider what relevance this history has for a South African in 2019. The competition is aimed at encouraging cross-curricular study. Educators may choose to use the topics of the project as an activity for learners' portfolios. 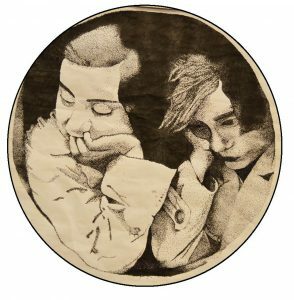 The Cape Town Holocaust & Genocide Centre will hold an exhibition of artworks and writing pieces submitted to the project. Learners will be able to collect their submissions after the run of the exhibition. The members of the White Rose Movement used the power of words to oppose the Nazi regime. They wrote and distributed a series of six leaflets calling for passive resistance from the German population. In other instances, people risked their lives by creating false documentation for Jews fleeing Nazi-occupied Europe. The Nazis tried to dehumanise the Jews and other victims by stripping them of basic rights, including religious and cultural expression. Thus, the act of creating a poem or a painting, keeping a dairy, or recording everyday events became an act of resistance and defiance. Within the Writing Section, they can elect to write a research essay, or to submit their personal response in the form of a poem, essay or story. In the Media Section, learners can submit a video, a two or three dimensional artwork using any materials or create a draft website or blog. For further information, please download the entry pack and flyer.